The Italian brand POLINI engine parts is the top stage with MALOSSI range of 50cc middle !!! POLINI is in the most premium brands 50cc environment, for many years it still offers a more comprehensive and specific catalog. Polini found in the small adaptable (50cc cast iron pot approved, little drive ...) as ultra racing with ranges FOR RACE or BIG EVOLUTION. 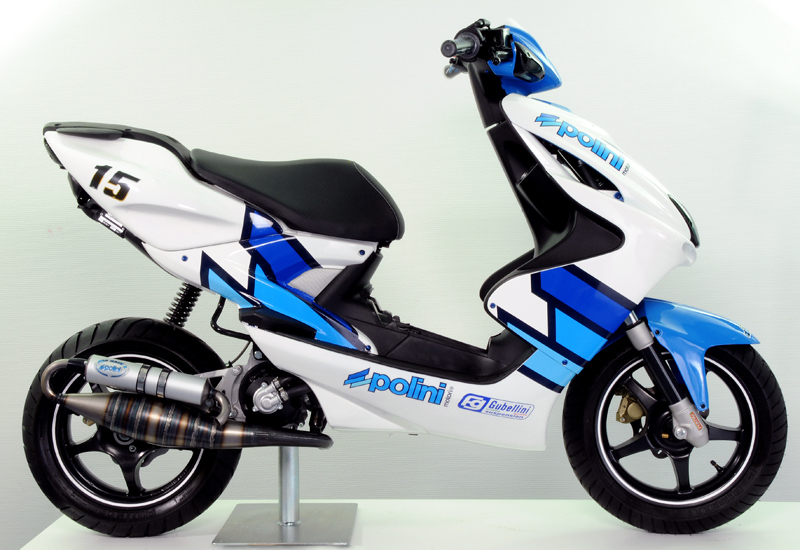 POLINI too much out of the lot with high engine large diameter for the 125cc Aprilia RS 125cc as equipped or ROTAX engine products for T-MAX 500. Polini also stands by always Product for motorcycle, also cosmetic products such as casings, decorative kits, enhances shock absorber, brake disc, tires ... POLINI manufactures and understand everything himself in his huge factory in Italy. Clearly at POLINI you find absolutely all the accessories needed to customize a design and hyper hyper racing scooter. Like the great Italian car brands ... POLINI always pushes further the quality, performance and of course the price! Forties, just after the Second World War, reconstruction, Italy by bicycle. Daddy Polini Battista returned from the front and starts to construct bicycles: There is a real demand. Bicycles for workers, who are strong to go on dirt roads, on asphalt and on the pavement. The emblem on this part reproduces the crest of the ram: it is not the sign of the zodiac, but the battalion where daddy said "goodbye" to his youth. And then we came: Carlo, Franco and Piero. When we were young, we too have worked in the shop for help; it was our job and in this way is born in us the passion for motorcycles and for mechanics. Then, when in the late fifties there was the economic boom and people started to buy the first mopeds, the "vespa" and the "lambretta", we were ready, we were early and Dad was with us . There is nothing to do if you have the passion in your blood, it comes out sooner or later. With time, however, we dispersed; we even had betrayed the bikes to the car, but it could not last. Our wish for the bike, our passion and experience were stronger. One of us, Piero, started racing. It was the beginning of the seventy years, those of rock music, mini skirt, the maxi skirt, motorcycle Ancillotti, the modified Sachs engine, seven-speed gearbox. Piero has won three Italian titles "Enduro" and from that moment it was impossible to tell all victories: two hundred, three hundred, and may be more. Enthusiasm, experience, work continued to refine our products have given us many satisfactions. With much patience and work we were able to discover the secrets of many engines. We have improved the developed and perfected. We made ​​them winners, safe and reliable. These are changes that make the personal motorcycle or to the pilot who makes sport or for entertainment and fun for tourists, young people who move. Our products are characterized by outstanding quality, born from the synthesis passion, experience and constant update. The project is realized with the help of programs CAD (Computer Aided Design) more sophisticated. The tests take place on the bench for electrical control and with the help of telemetry. Raw materials are carefully selected according to qualitative parameters and a constant search for what is the most innovative on the market. The machining is performed exclusively through robotized production systems and digital control. 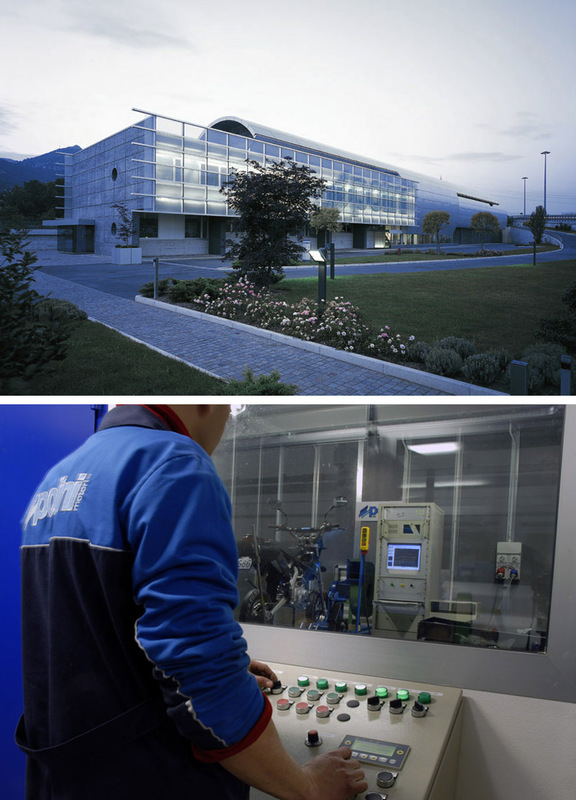 Our Polini-Motori based in Alzano Lombardo and extends over 20,000 m2, including 8,800 store and between 3,000 offices and department race. 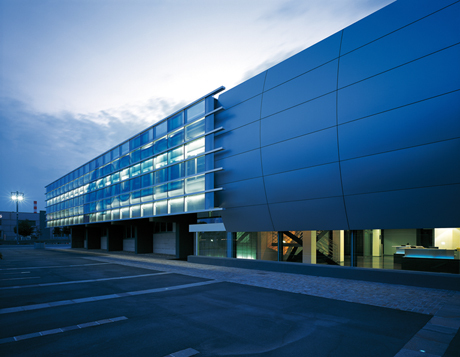 In Bergamo is the POLINI RICAMBI-that is to say, a very well supplied exhibition hall which covers 2,500 m2. We have established a dynamic business network: more than 3,200 points of sale in Italy and exports to over 64 countries. We provide a very high standard for the quality and for the audience: the best is found not only in our parts, but also in the way in which we provide you.